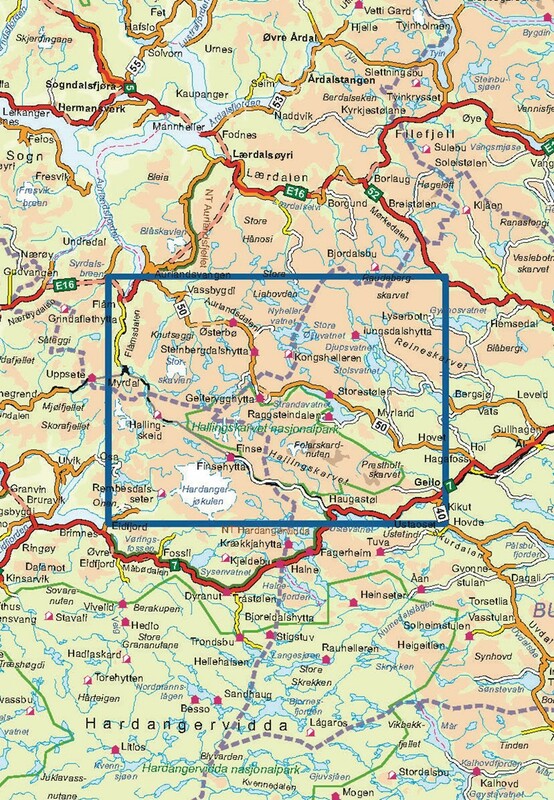 Hallingskarvet nasjonalpark 1:50 000 is a detailled map covering an area of 64 x 47 km (over 3000 km²). Hallingskarvet is a detailed map covering over 3000km2. Here you will find the hiking routes easily and also the lodgings in the area. 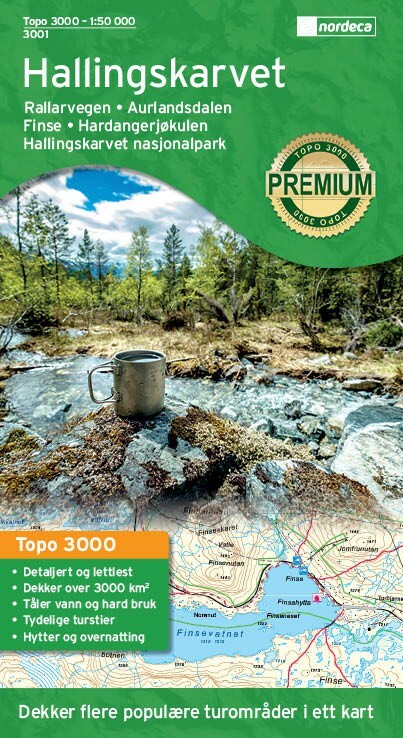 In addition to covering Hallingskarvet the map is perfect if you are riding Rallarvegen, hiking in Aurlandsdalen, glacier walking on Hardangerjøkulen or hiking from cabin to cabin starting for example at Hallingskeid or Finse. Compatible with the EUREF89 GPS system (WGS 84). Waterproof paper.